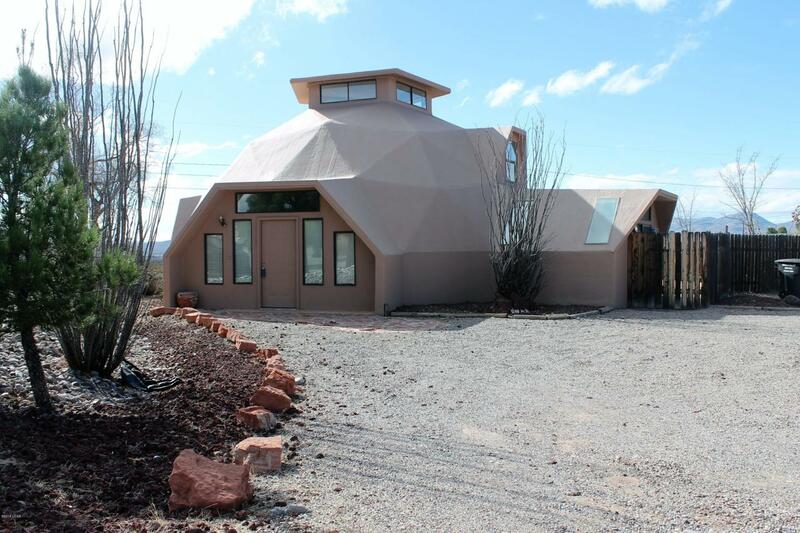 This amazing geodesic home is one of a kind! It has two stories with the main bedroom and bathroom downstairs, two bedrooms, a bathroom and a mini loft upstairs. There is a sun room that could be an office, an exercise room, a play room, anything you want! The fenced in side yard provides a great space for gardening with privacy. The back opens up to nature with fantastic views and easy nature access. Recently repainted, roof maintained and new carpet means this home is ready for you.